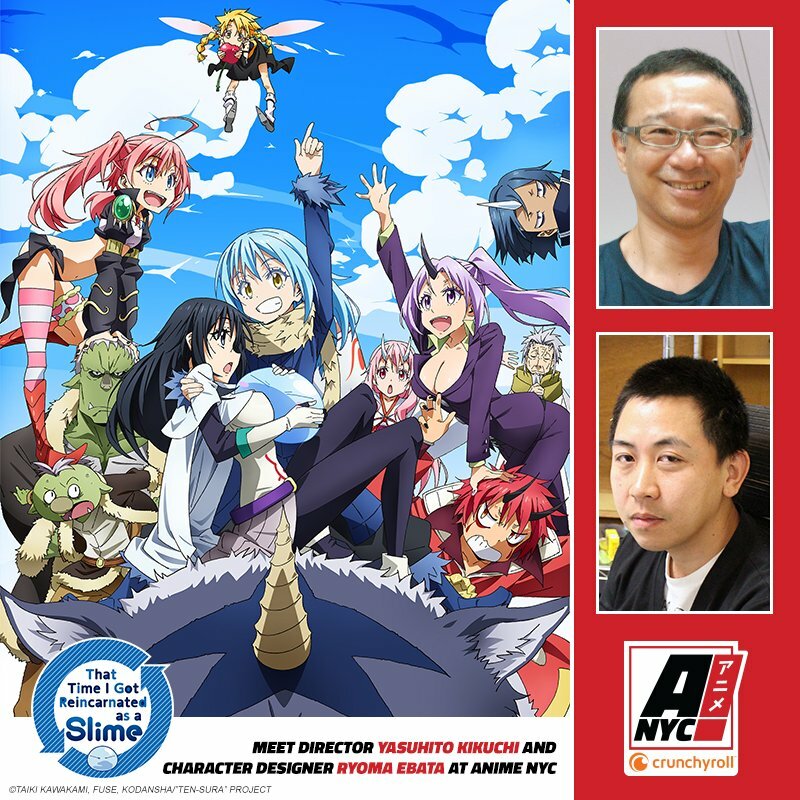 Anime NYC has announced that Yasuhito Kikuchi and Ryoma Ebata, the director and character designer for That Time I Got Reincarnated as a Slime, would be coming to the convention in November. Yasuhito Kikuchi usually works as a director and key animator. His directorial debut was Magical Girl Pretty Sammy 3: Super Kiss. He has worked on shows such as Infinite Stratos, Macross Frontier, and Comet Lucifer. 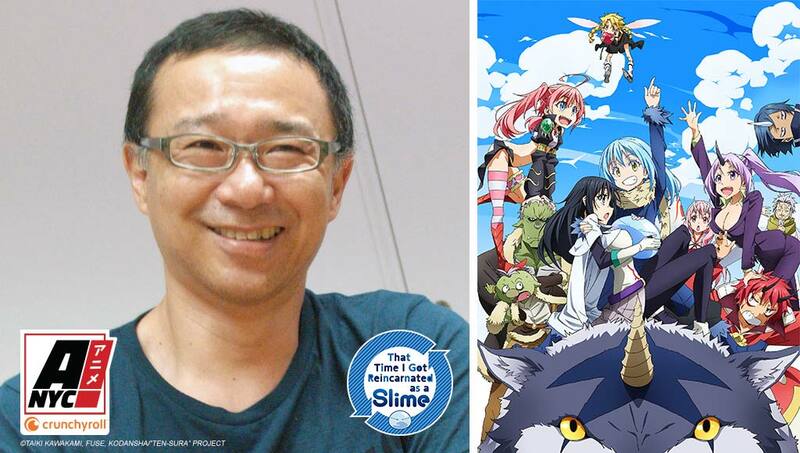 He is the director for the upcoming anime, That Time I Got Reincarnated as a Slime. Ryoma Ebata has worked as an animator, character designer, and unit director most of his career. He was first put in charge of character designs for Busou Shinki. He has worked on and been charge of the key animation for openings, endings and other areas for shows such as Absolute Duo, Macross Frontier, and Puella Magi Madoka Magica. 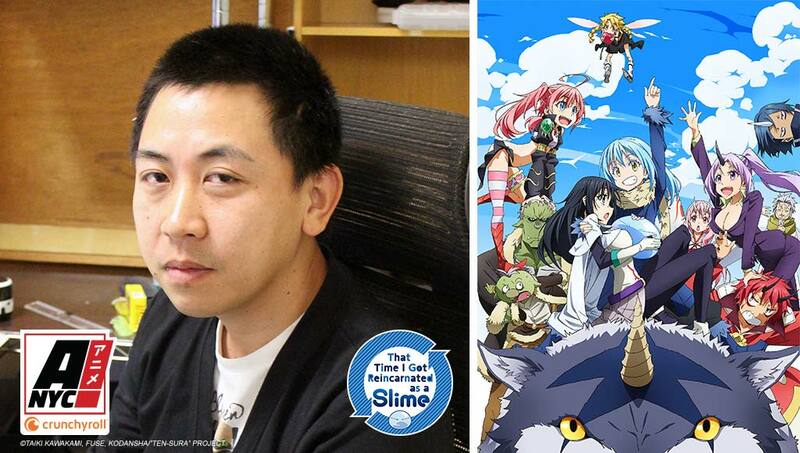 He is the character designer and key animation director for That Time I Got Reincarnated as a Slime. Corporate worker Mikami Satoru is stabbed by a random killer and is reborn to an alternate world. But he turns out to be reborn a slime! Thrown into this new world with the name Rimuru, he begins his quest to create a world that’s welcoming to all races. The explosively popular novel series sold over 5.5 million copies after first being published on the Shousetsuka ni Narou novel publishing website by Fuse, and then was given a manga adaptation by manga artist Kawakami Taiki. The tankobon novel series is also ongoing, published by MICRO MAGAZINE and illustrated by Mitz Vah. Protagonist Rimuru encounters dragons, goblins, dwarfs, and ogres, among many other races, as he learns the ways of the land. At the end of the sometimes-humorous, sometimes-serious storytelling is the evil lord himself. A lone slime uses his newly acquired skills, his wit, and his guts to make more friends. The long-awaited rebirth entertainment finally gets an anime adaptation! Both Kikuchi and Ebata will appear for panels and signings to celebrate their upcoming anime at Anime NYC 2018. Their schedule will be announced closer to the convention date. Anime NYC 2018 is set to take place from November 16-18, 2018 at the Javits Center in New York City. Tickets are still available and can be purchased HERE.